I installed webconnection and created a WebTest project. 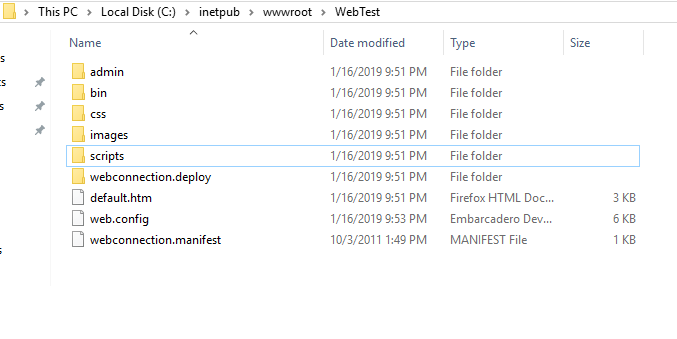 WebTest project is created in the webconnect root folder. 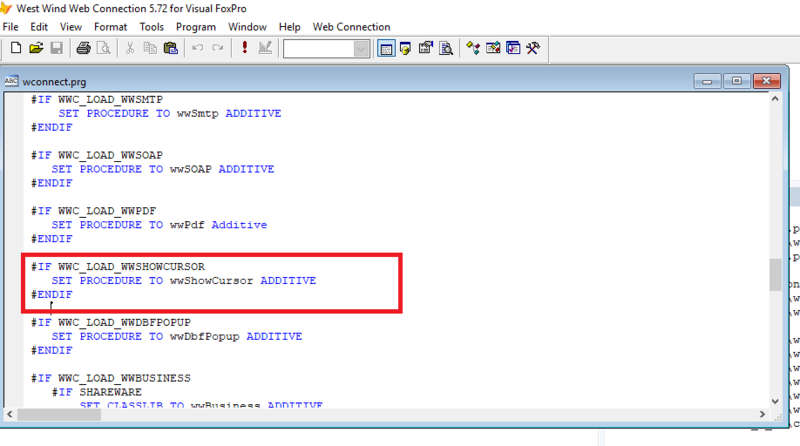 It does not "set procedure to wwShowCursor additive " command. I tried to set this in wconnect.h file but it still gives error. 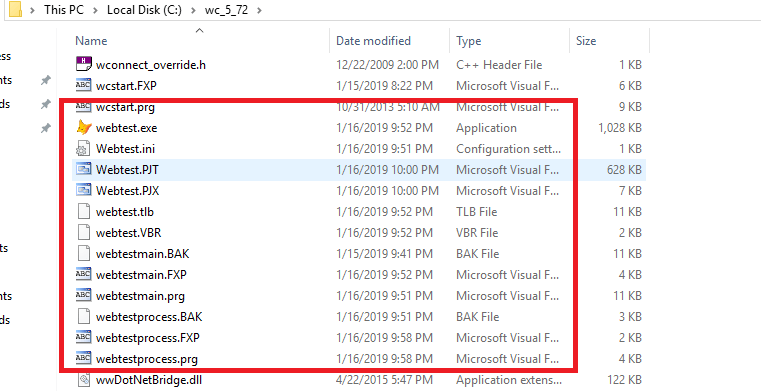 Don't edit the WCONNECT.h file itself - that file would be overwritten when you update the Web Connection version. You want to edit WCONNECT_OVERRIDE.h instead - it won't be overwritten by an update. 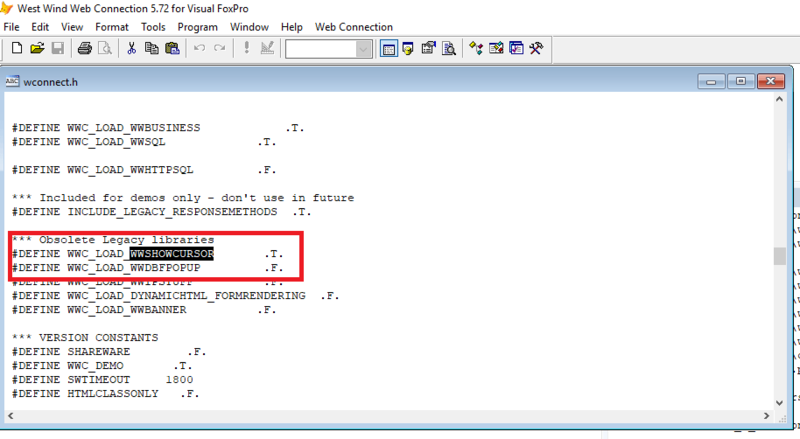 It is likely that the setting is re-defined in WCONNECT_OVERRIDE.h to .F., which would explain why the SET PROCEDURE statement isn't being called. You would add the following..
wwShowCursor is a legacy feature nad if you're building a new project probably not a good idea to use. As Mike pointed out you can enable those features but for new projects - don't do that. 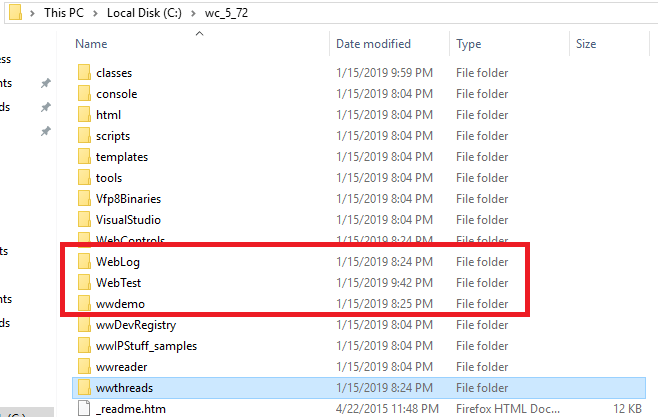 If you do change the wconnect_override.h settings make sure to recompile all framework files - otherwise those changes won't apply.